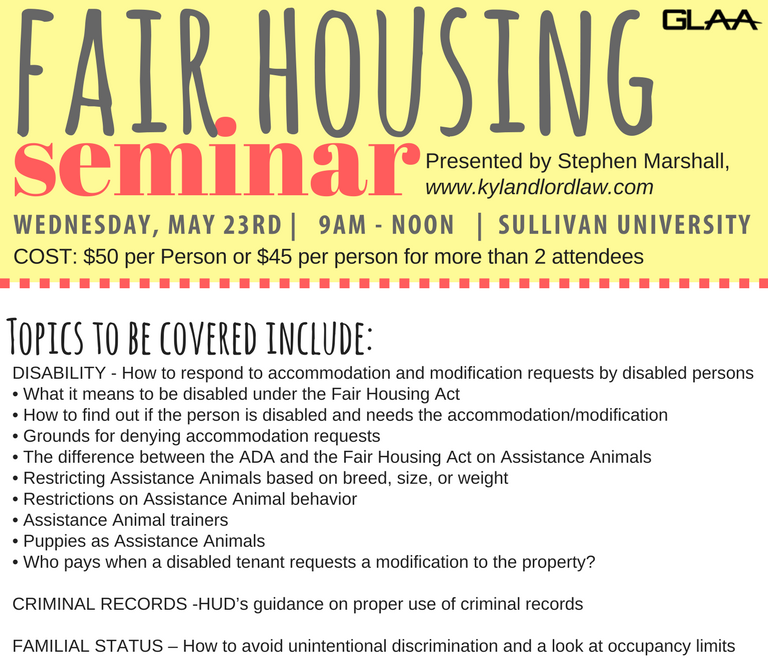 Join Stephen Marshall of kylandlordlaw.com for this fantastic seminar. Registration is CLOSED - as this event is officially SOLD OUT. Please contact the GLAA Office with questions!